Jacksonville condominiums and preconstruction in Florida. Imagine enjoying homeownership in a low-maintenance environment that provides you the freedom to pursue an active lifestyle, or just relax and recharge. Many of today's busy home shoppers are happily embracing the resurgence of luxury condominium living as the strong trend in condominium conversions opens up a wealth of affordable housing opportunities. Equity growth in your home. Interest and tax payment deductions on your federal tax return. Low maintenance without some of the home-care hassles such as yard work and roof repairs. The maintenance is customarily taken care of by the condo owners association. Aging baby boomers, young professionals and investors are fueling a trend of condominium construction in downtown Jacksonville, Southside, Mandarin, Jacksonville Beach, Ponte Vedra Beach, Atlantic Beach, Neptune Beach and Vilano Beach. 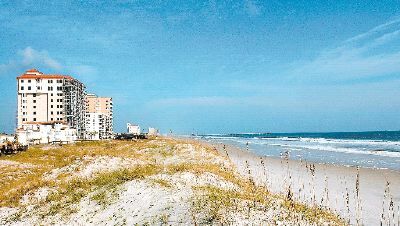 Generally, luxury oceanfront condos in Jacksonville can range from about $500,000 to $2.8 million. Typically, the value of condominium is determined by its location and plan features. Ground floor condominiums are desirable, highly marketable, and sell at higher prices than those of second or third levels. Water views, conservation, and close proximity to the club pool can add significant value to the condominiums.